Develop a Storyline course with questions or assessment. If you are selecting Storyline’s default assessment, some pre-defined variables will be added to calculate the score by default. But storyline doesn’t allow access to those variables. As a result, we don’t have an option to adjust their values because Storyline takes full control over them. commitData() – Is a function inside lmsAPI object that saves all the data sent to LMS in the database. 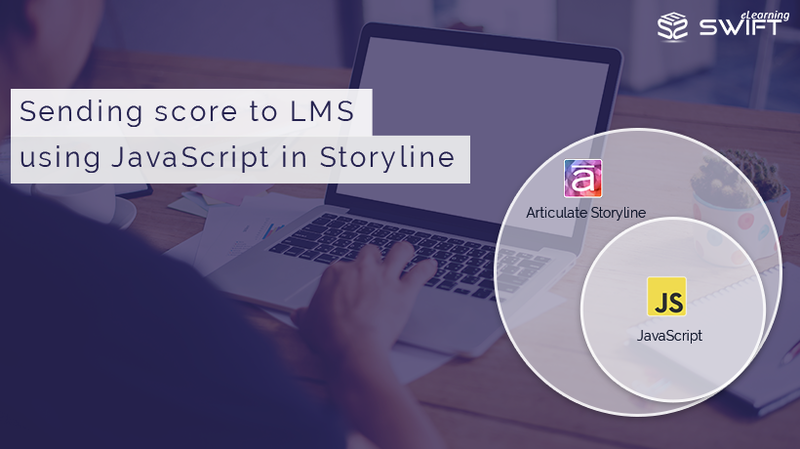 Make sure to set the LMS tracking based on the slides viewed and not Track using quiz result in case you are using Storyline’s default Assessment. If not Storyline overrides your custom score with its default result variable value. 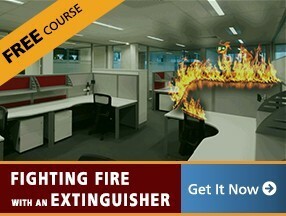 In such case, we can use a workaround to exit the course without using the default trigger “Exit the course”. 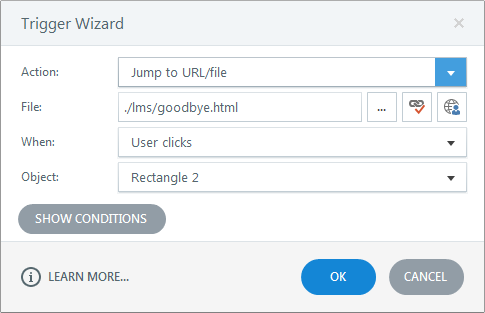 You can add a trigger on the Exit button to Jump to the URL “./lms/goodbye.html” when learner clicks on it. Articulate Storyline 360: Publish Settings – How to publish a single slide or scene? Thank you so much. I am using the Canvas LMS and for some reason it is not picking up the score . I set up an assignment and set the points possible to 30, then tried to send a score of 20 out of 30 to the Canvas grade book but it defaults to a 30/30 instead. 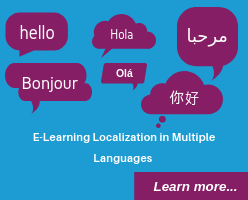 Do you know the actions on the LMS side to get it to work? I’m glad you found my blog helpful. As you know every LMS is slightly different from the other and each exhibit different behaviors when displaying scores and other details. For storyline courses, you need to use lmsAPI.SetScore(player.GetVar(‘Score’),100,80); function. 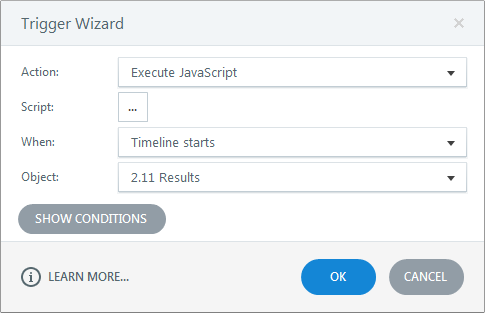 Where player.GetVar(‘Score’) will fetch the value of Score variable you created in Storyline and send it to the LMS to save it as score secured by the user. I guess this is what’s happening in your case. 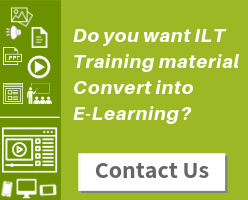 Instead use “Jump to URL” trigger on the exit button and provide this url “./lms/goodbye.html” to exit the course. 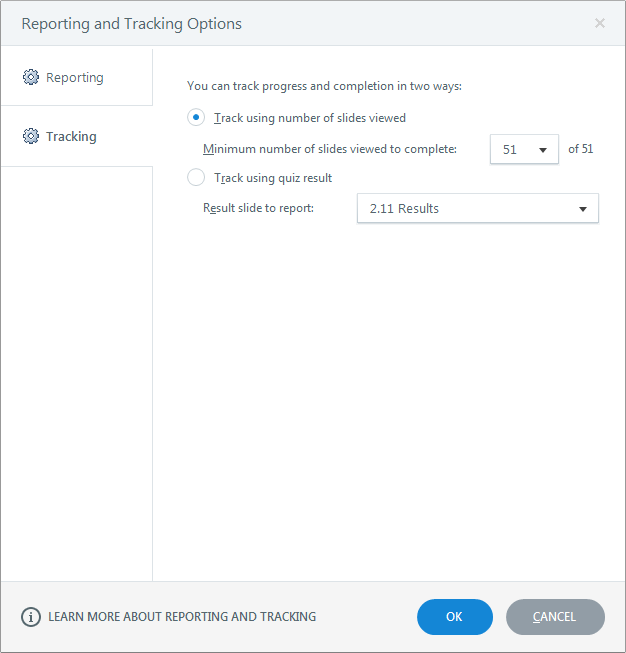 And be sure to select the Tracking option as “Track using number of slides viewed” in Report and tracking options before you publish for LMS. Hope this helps you out. Let me know if this works or not. 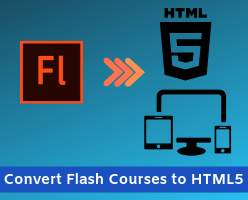 Please note that this approach won’t work for HTML5 content that is published using Storyline 360. Yes Matthew, You are right. This blog only focuses on storyline 2. Thanks for sharing your observations. This might help future visitors using storyline 3. Jane, the code is tested on both android and iOS which works well for us. I believe you are using SL 2. I am also trying to push the score results into a SCORM LMS. I have used the code that you have mentioned. I am using Storyline 3 to develop my course. I am using a custom designed quiz and have used a variable called quiz1percentage. From your discussion it appears that I should use a variable called Score. So I created a variable called Score and set it equal to quiz1percantage. Then I copied the code and pasted it as suggested in the blog. However, I am still unable to parse the scores to LMS. The reporting and tracking are set exactly as you have suggested in the article. I will appreciate any help and guidance on this. New Storyline 3 came with many changes under the hood. That’s the reason, above code “lmsAPI.SetScore(player.GetVar(‘Score’),100,80);” isn’t working anymore. While all the other steps mentioned in the blog remain the same. You probably want/need to set completion and success status as well. Articulate 360 Rise: Creating Mobile Learning Apps For Micro-Learning What’s New in Articulate Studio 360?